Competition looks set to heat up the EU hepatitis C virus (HCV) market after two new therapies received the go-ahead from the Committee for Medicinal Products for Human Use (CHMP). Gilead Sciences and Merck Sharp & Dohme (MSD) both bagged CHMP positive opinions for two-drug, once-daily combinations for treating adults with chronic HCV - Epclusa (sofosbuvir/velpatasvir) and Zepatier (elbasvir/grazoprevir), respectively. 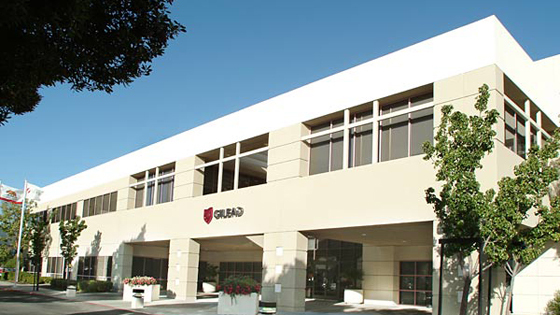 For Gilead, this is the first regulatory okay for Epclusa, a follow-up to its Sovaldi (sofosbuvir) and Harvoni (sofosbuvir/ledipasvir) products that currently dominate the HCV market with sales of $5.3bn and $10bn last year. The company is positioning Epclusa as a pan-genotypic regimen that will treat all different HCV genotypes (1-6), doing away with the need for genotyping before the start of treatment. It is also under priority review in the US and could be approved there by the end of next month. Meanwhile, the positive opinion for Zepatier means MSD is now weeks away from having approval on both sides of the Atlantic for Zepatier as it tries to wrest market share away from Gilead, with the FDA approving the drug in January for HCV genotypes 1 and 4. "Epclusa and Zepatier belong to a new generation of medicines for chronic HCV infection, direct-acting antivirals, that give high rates of cure of HCV infection," said the CHMP. In the past few years these drugs have "reshaped the way this disease is treated", it added, allowing patients to be cured without the use of injectable and hard-to-tolerate interferon drugs. At its meeting last week the CHMP also gave a green light to AstraZeneca's DPP-4 inhibitor/SGLT2 inhibitor combination Qtern (saxagliptin/dapagliflozin) as a treatment for type 2 diabetes. The positive verdict for the product is a boost to AZ as it was turned down by the US FDA last October. There was disappointment for Takeda, however, after the CHMP rejected its application to market its orally-active proteasome inhibitor Ninlaro (ixazomib) as a treatment for multiple myeloma. The drug - the first oral drug in the class - was approved by the FDA last November. The committee said data from the main study filed in support of the drug were insufficient to demonstrate a benefit of the drug in a hard-to-treat patient group who had previously received one or more prior therapies.